5 Big Lies about Divorce; The Internet is WRONG. There is a lot of misinformation out there about Divorce. Online searches are no true replacement to good legal advice. Child Support. One site discusses the Income Shares Model of determining child support in Mississippi. This is wrong. Mississippi uses the Obligor Model and child support is based primarily upon the income of the non-custodial parent’s adjusted gross income. Alimony. That trusted brand Wikipedia includes that Alimony, in Mississippi is “usually awarded for life.” While permanent alimony is possible it is still subject to modification and termination well prior to death and saying it is “usually” awarded is wrong. Read more about Mississippi Alimony here. “No Fault Divorce”. Common lore has perpetuated the belief Mississippi has “no fault” divorce. Mississippi does not have “no fault” divorce. Mississippi has Irreconcilable Differences. There is a significant difference. Timing of Divorce. For an Irreconcilable Difference Divorce there is a minimum 60 day waiting period. It does not mean that you are divorced on day 61. It means that you may present the papers for Court approval after 60 days have passed. Routinely sites say you will be divorced in 30-90 days. It will never be less than 60 for an Irreconcilable Differences Divorce and if it is Fault based it can take much longer. Cost of Divorce. No website can do this justice. I saw one that listed the filing fees and fee for service by publication as the “costs” of a divorce, and a that an attorney may be additional monies. The posted filing fees were wrong and those come nowhere close to what a divorce could cost. A competent attorney can tell you the likely costs. 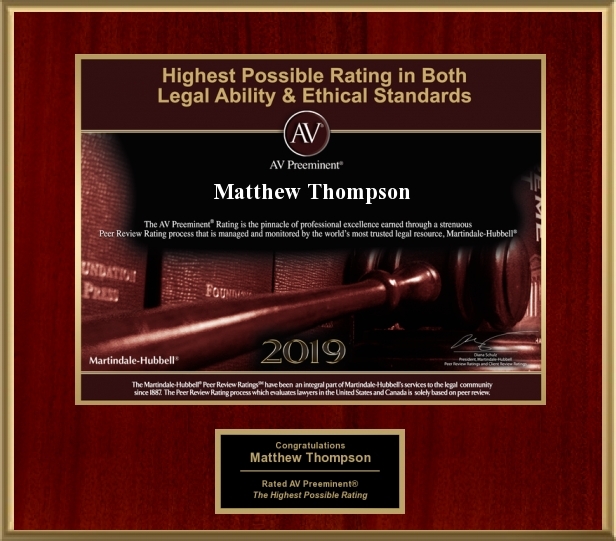 Matthew Thompson is a Divorce Attorney in Mississippi and if you find yourself needing the answers to any of these above issues, please go see an experienced attorney that handles Family Law in Mississippi.